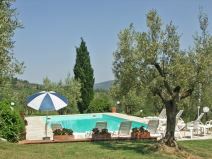 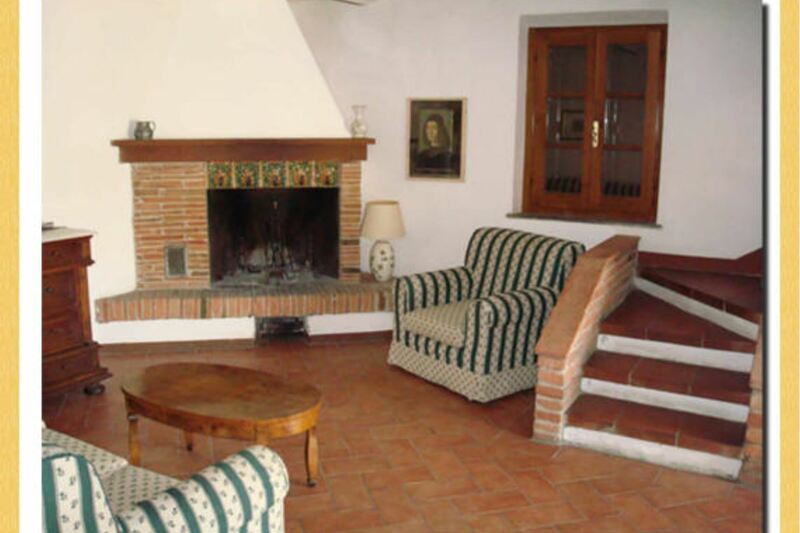 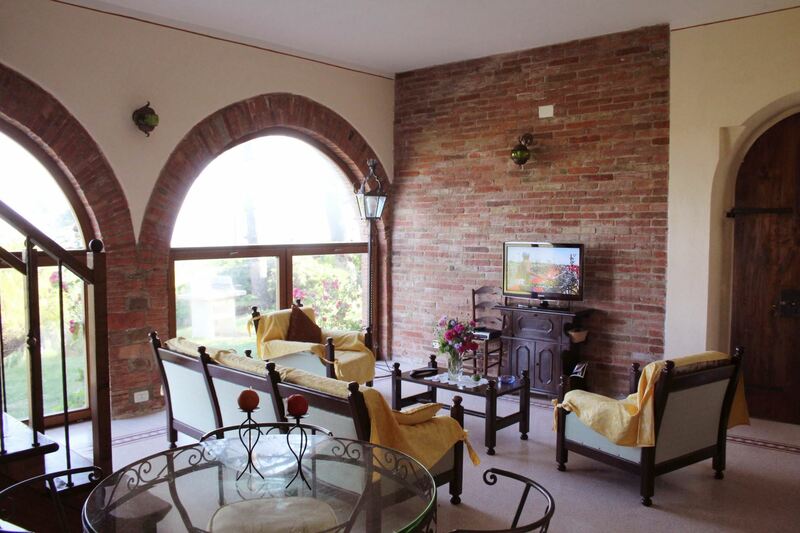 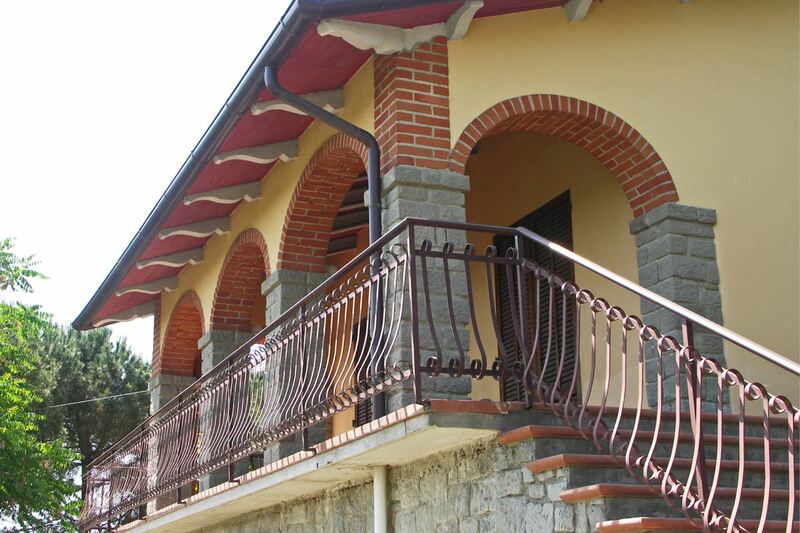 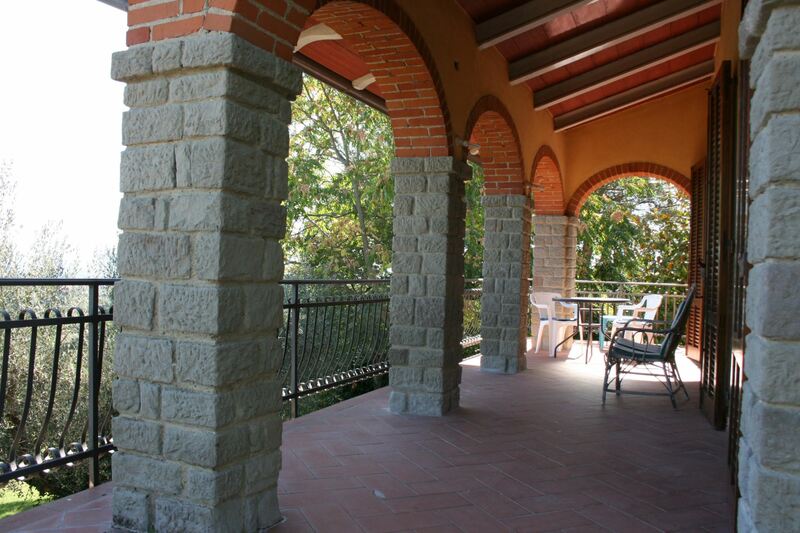 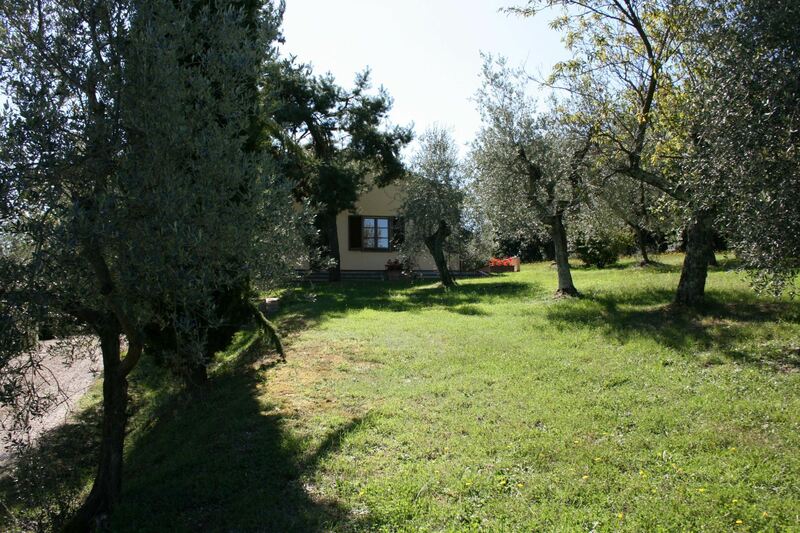 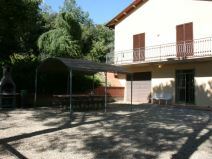 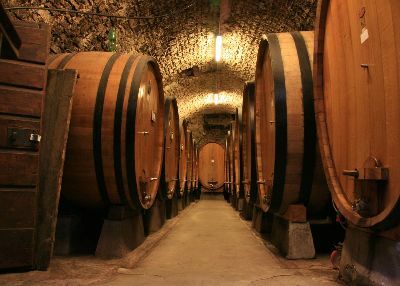 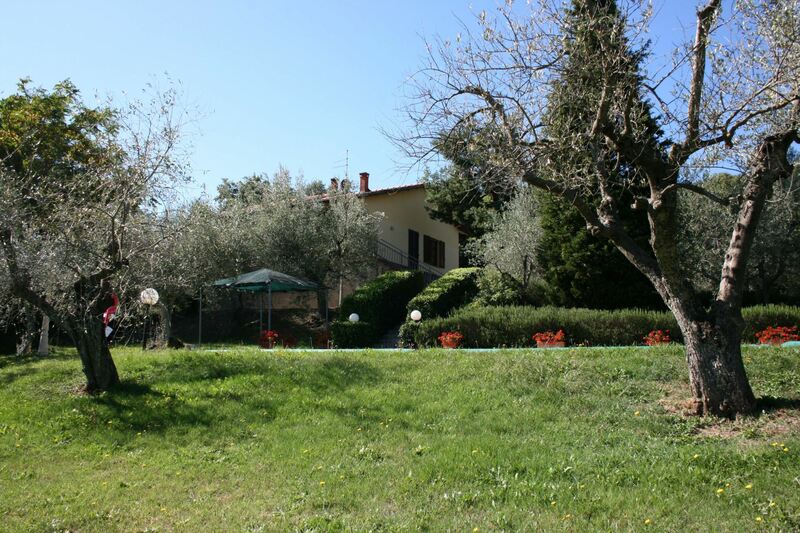 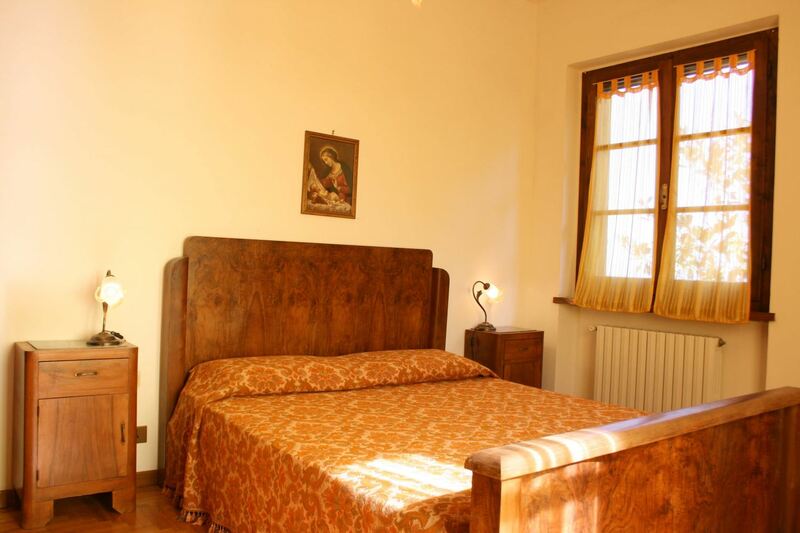 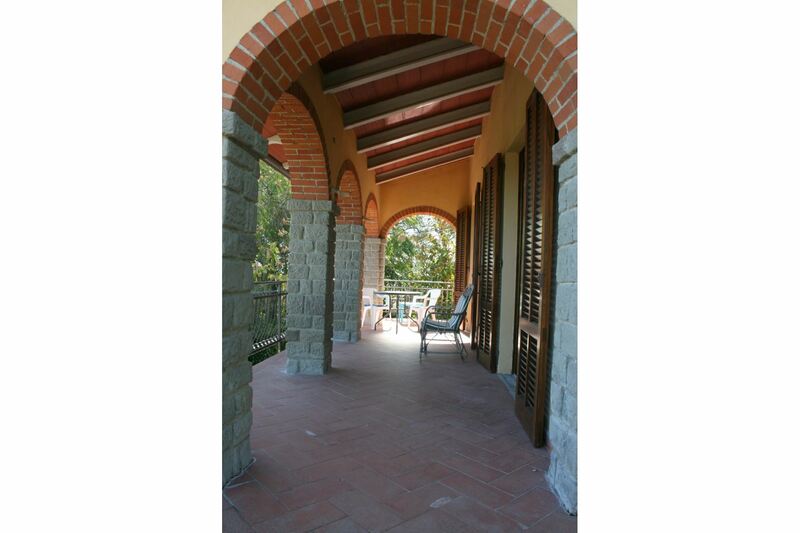 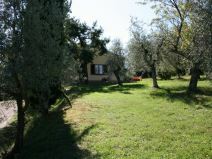 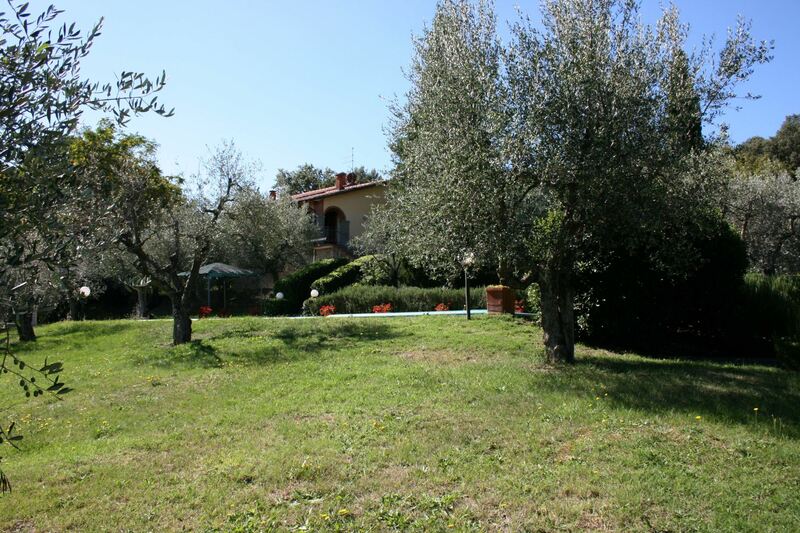 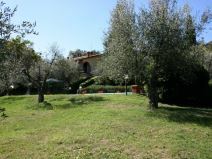 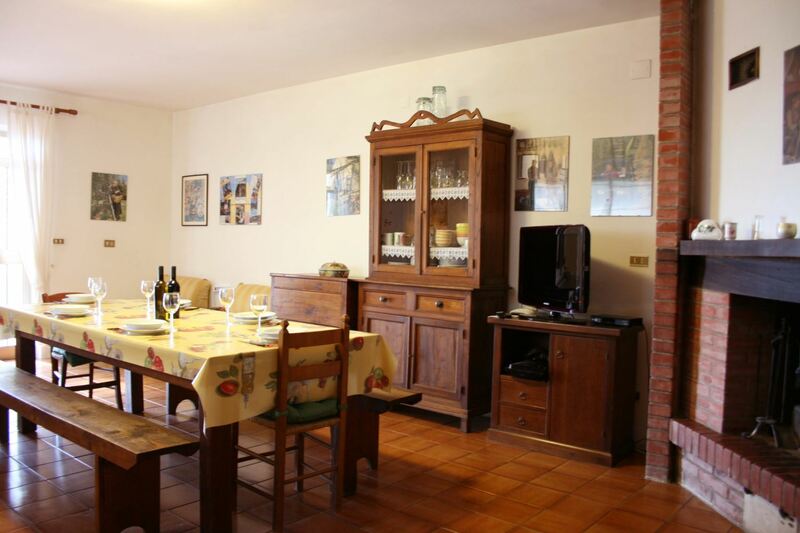 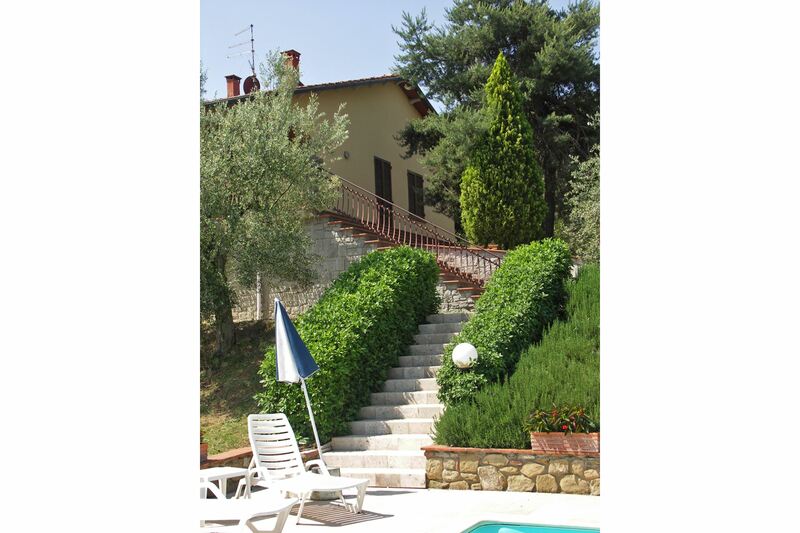 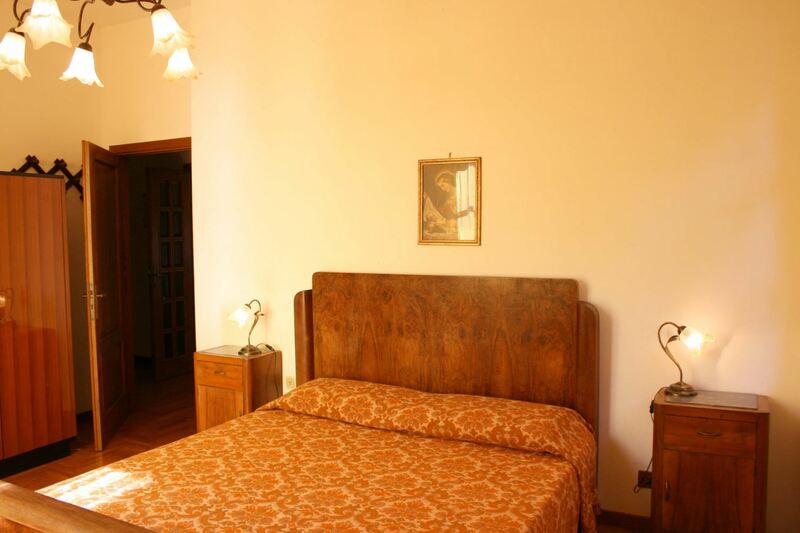 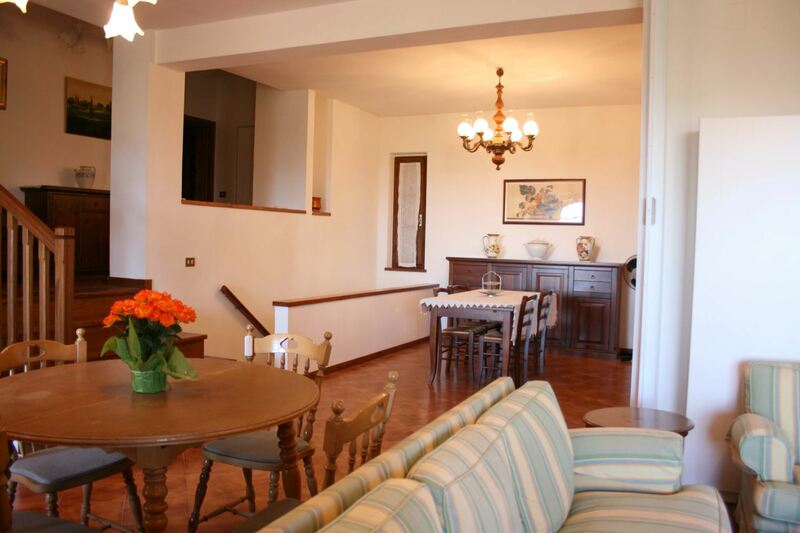 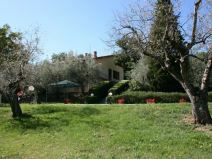 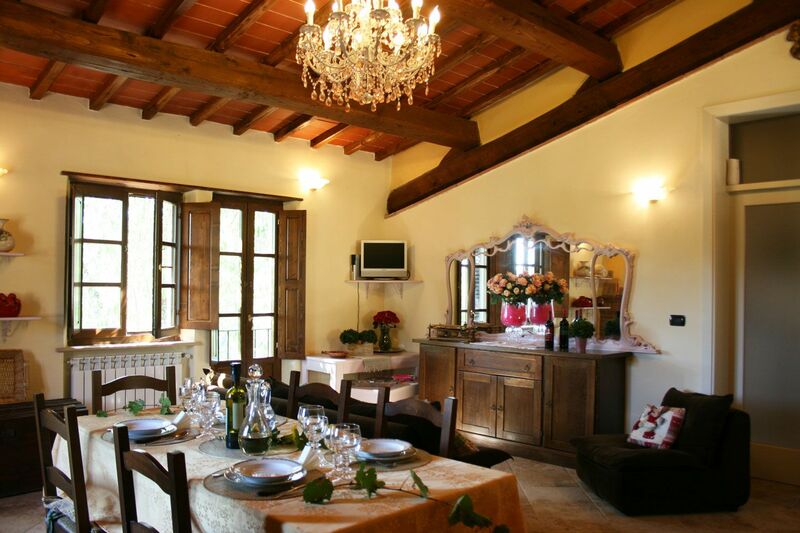 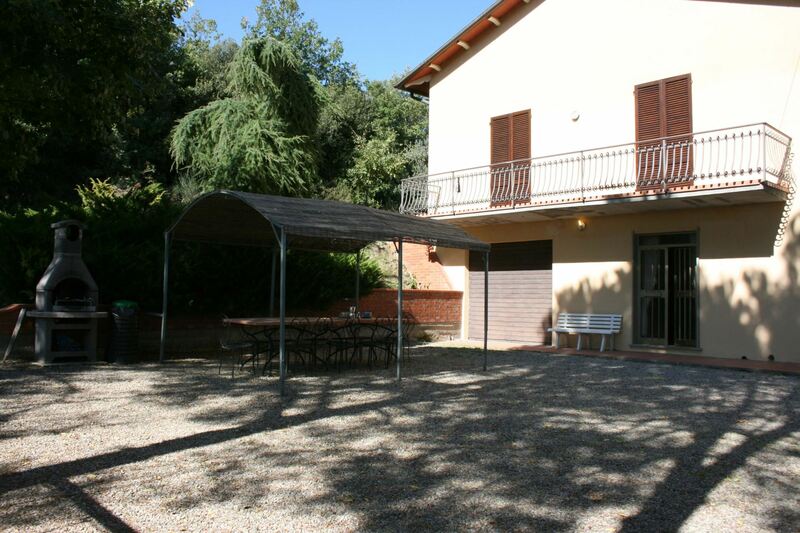 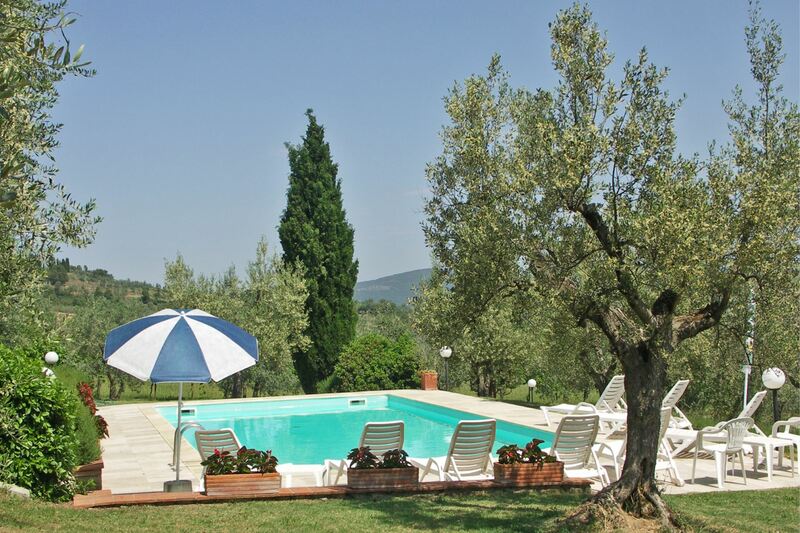 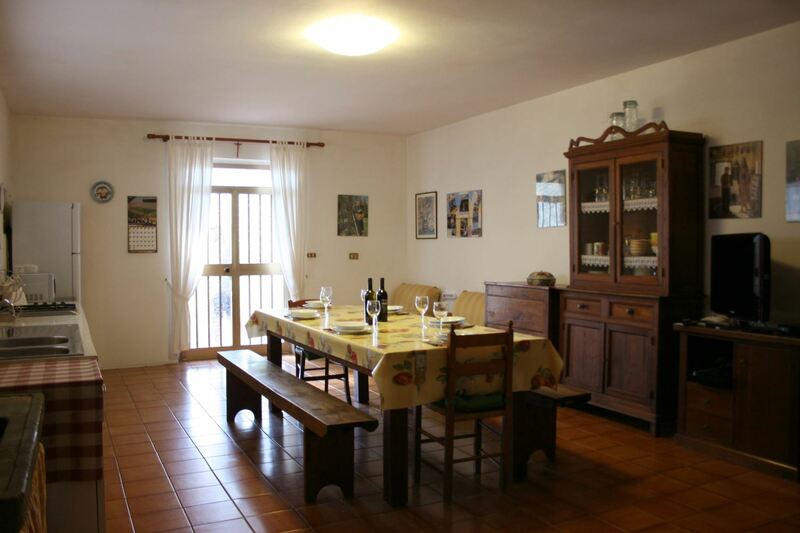 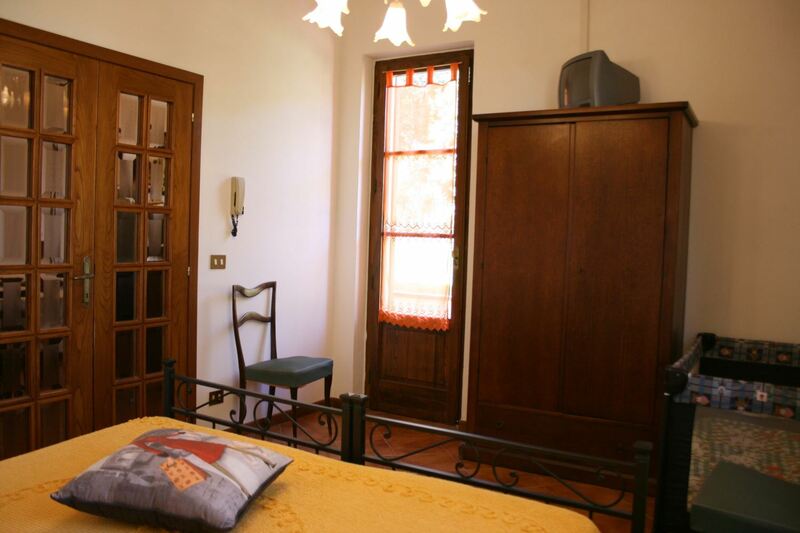 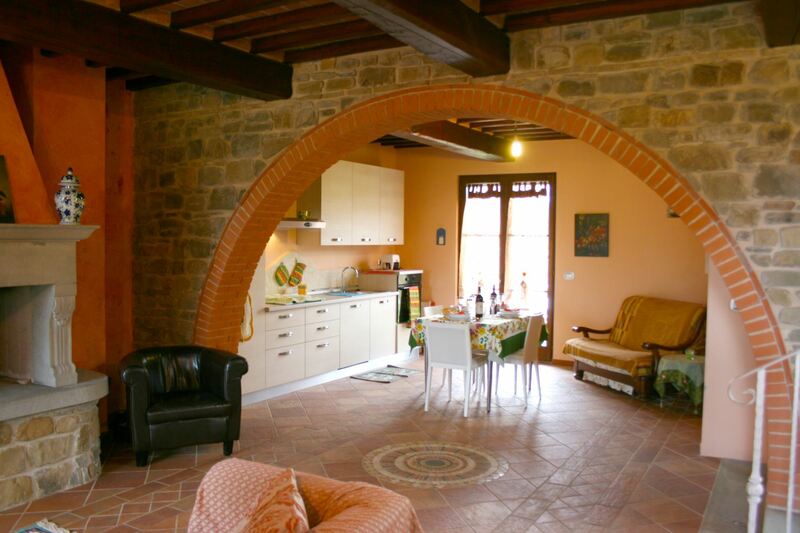 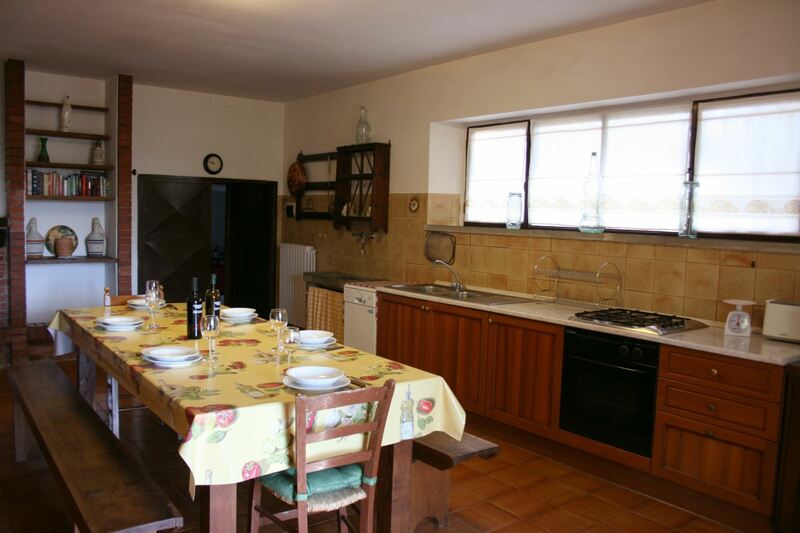 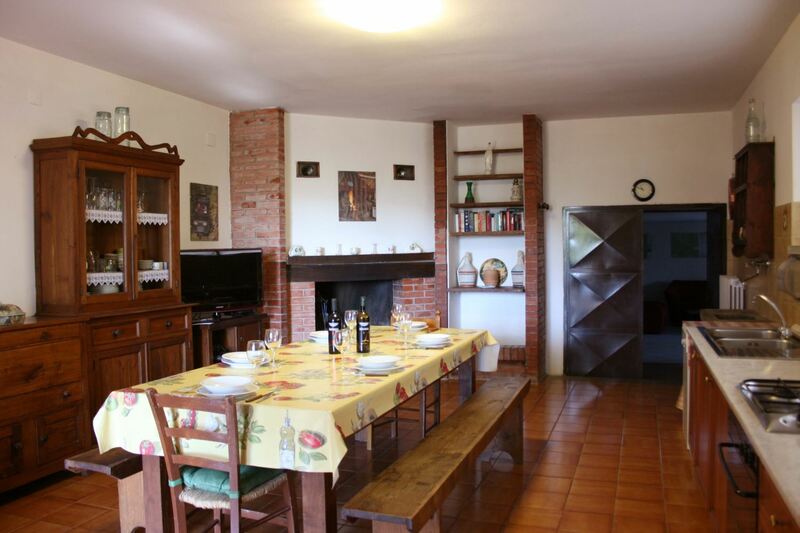 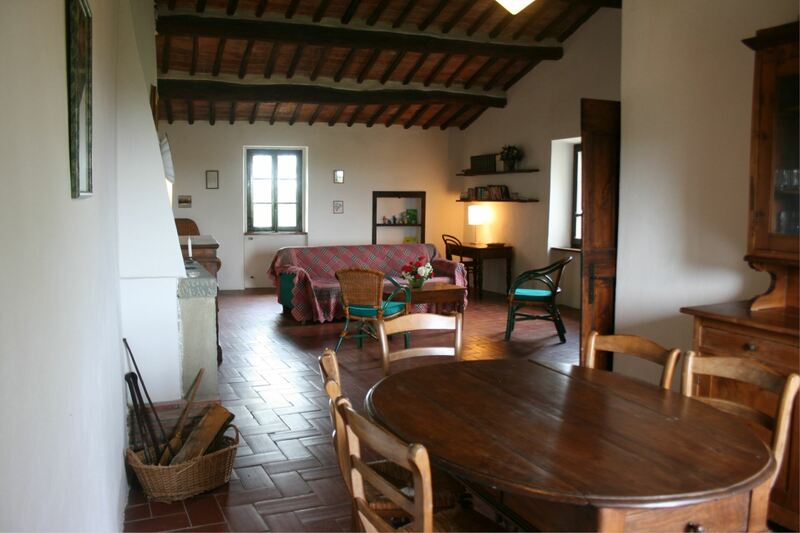 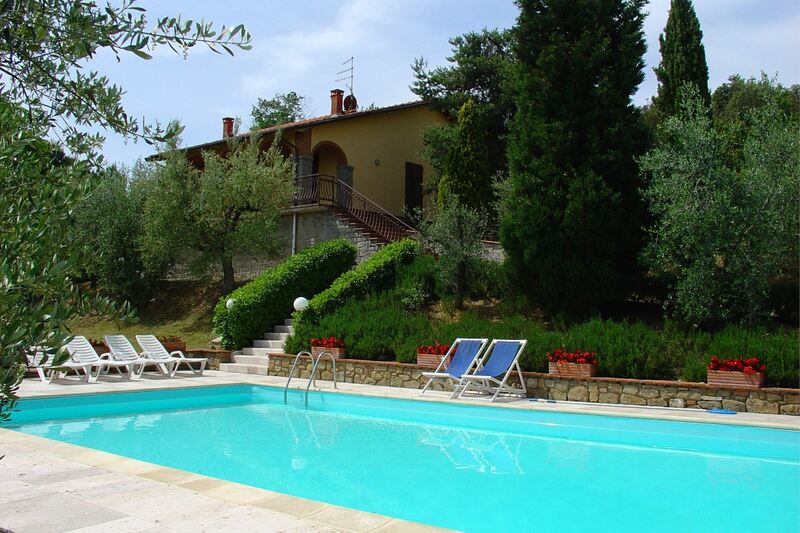 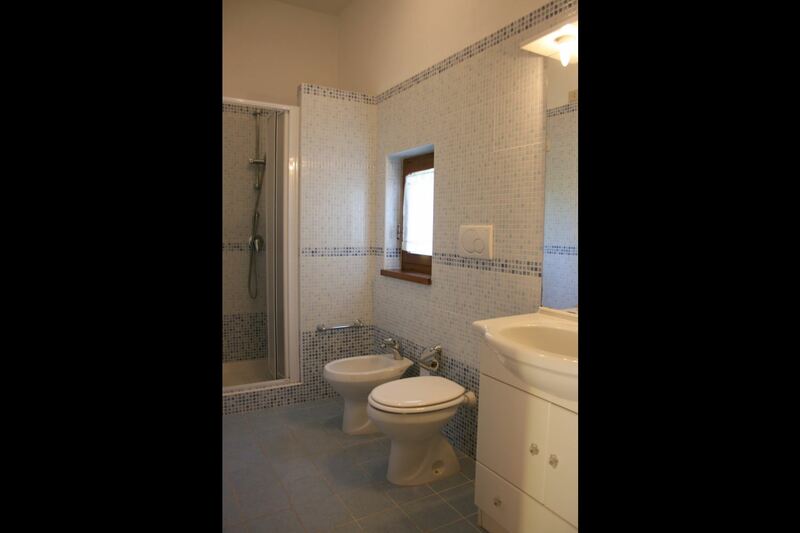 Villa with 4 bedrooms and private pool near Monte San Savino, which is only 2 km away. 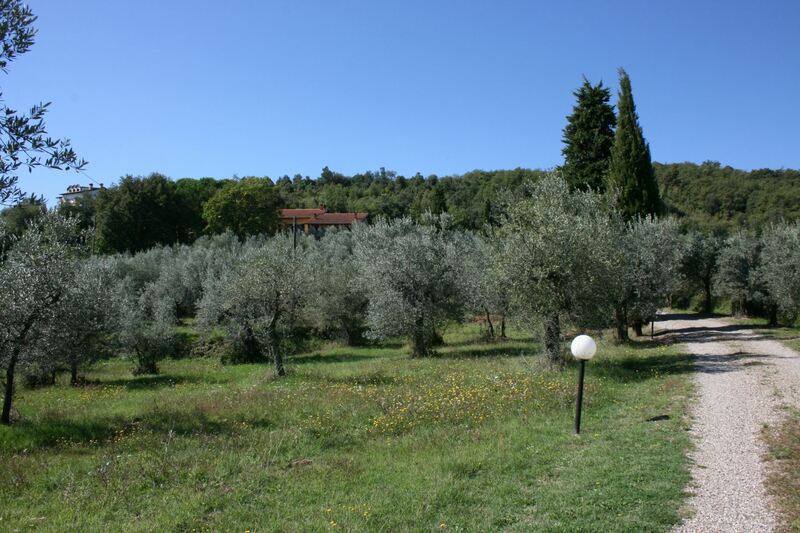 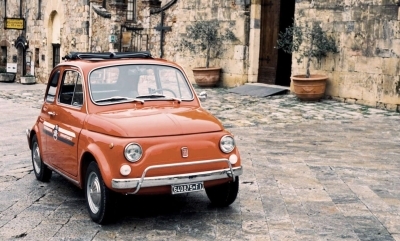 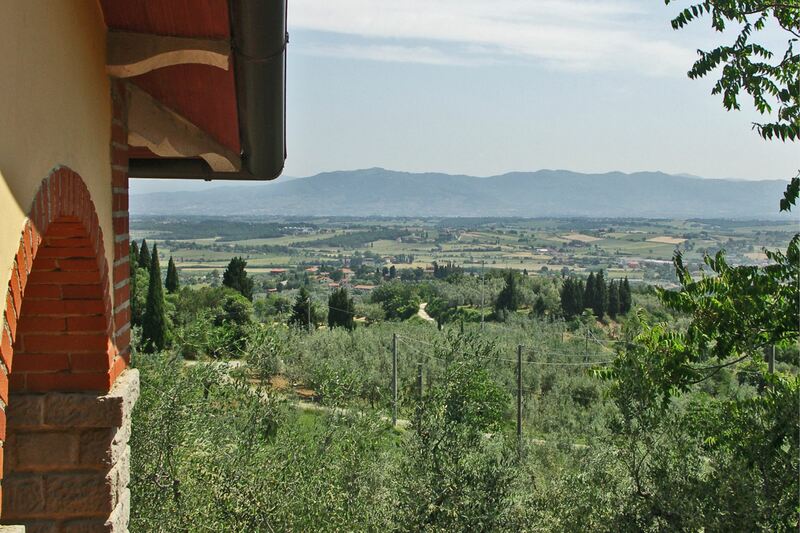 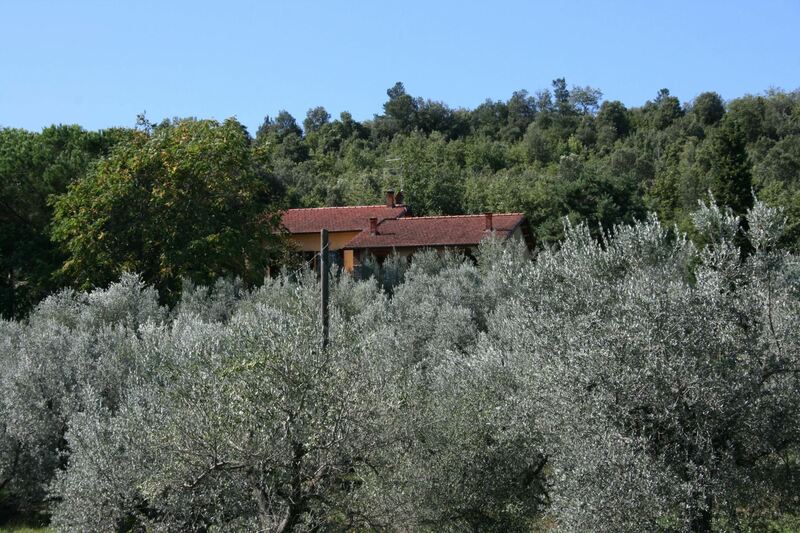 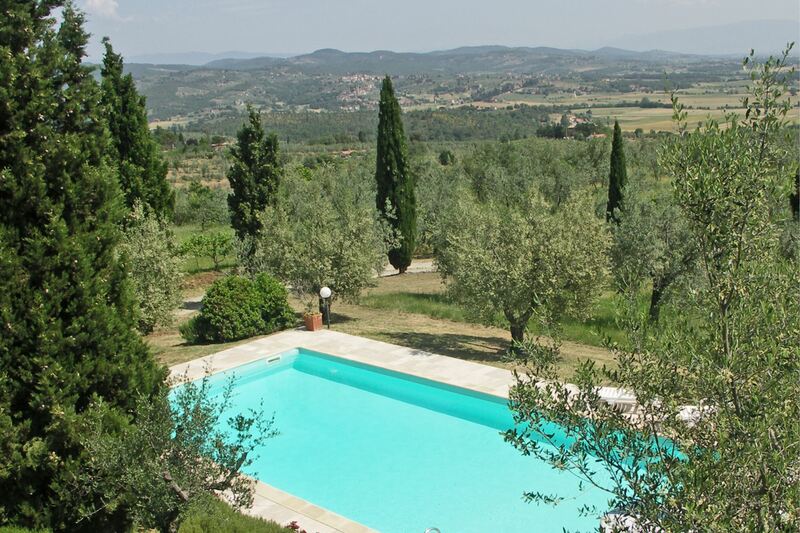 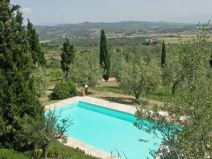 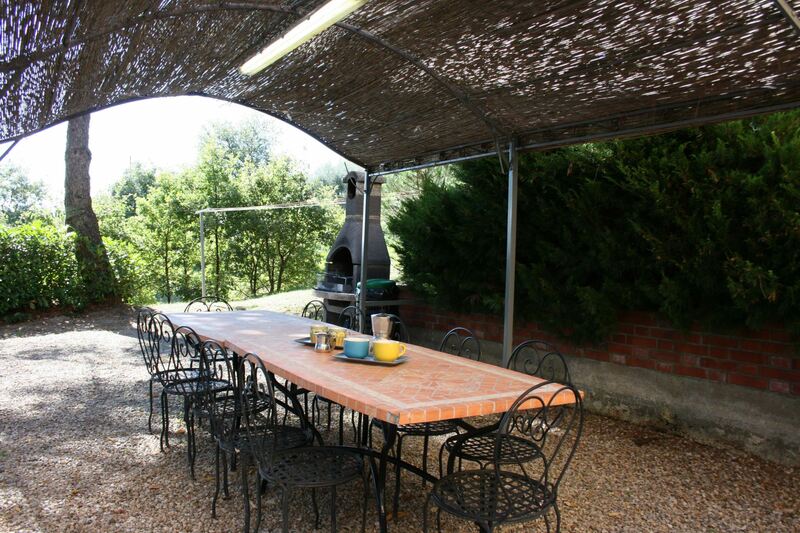 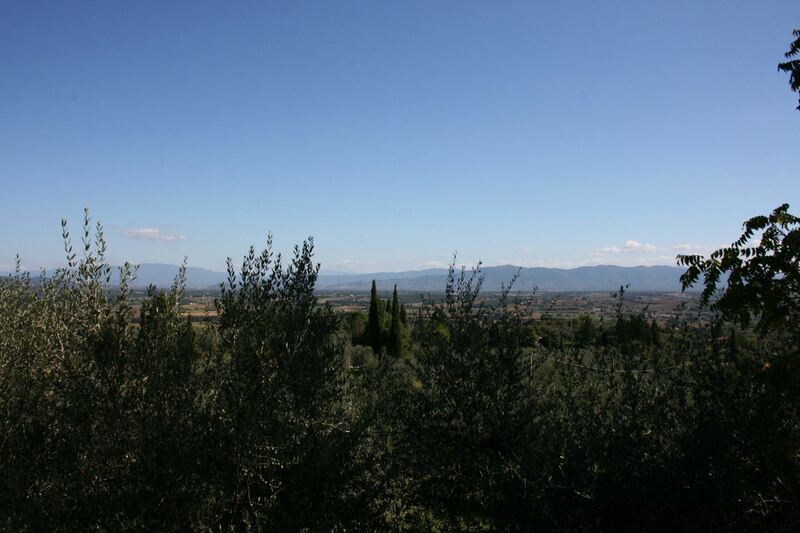 Surrounded by olive trees in a panoramic position overlooking the valley. 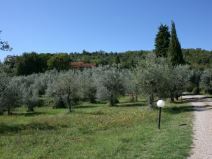 Panoramic set amidst olive groves. 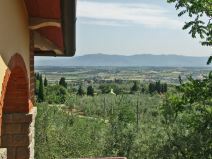 Set on a hillside with lovely views overlooking Monte San Savino and the Val di Chiana, La Maestà is surrounded by olive groves. 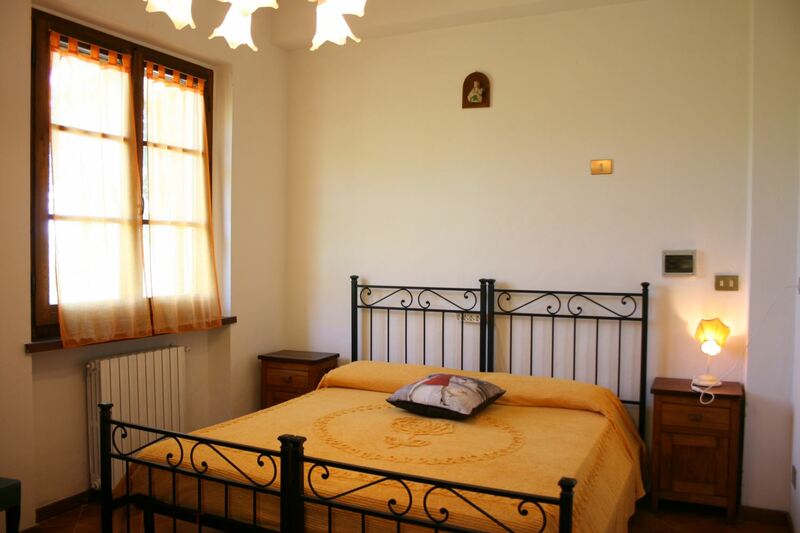 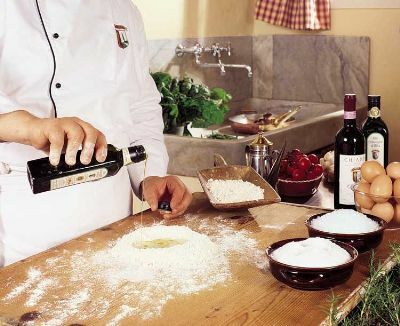 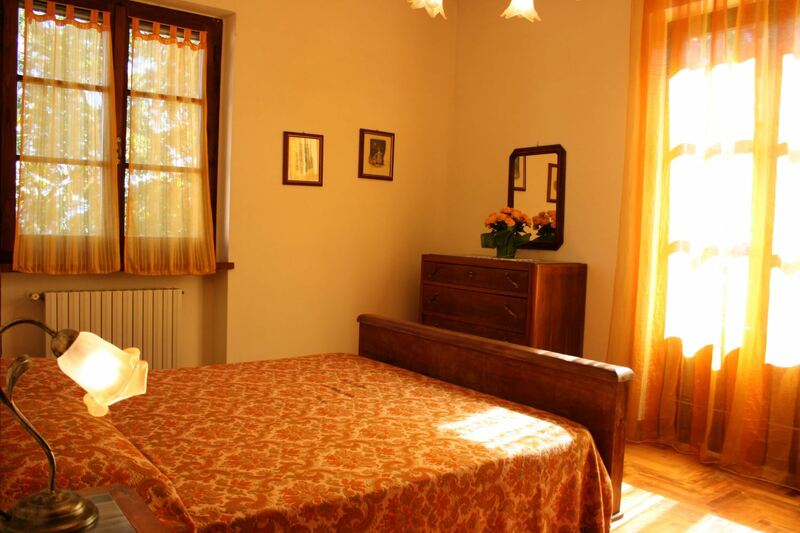 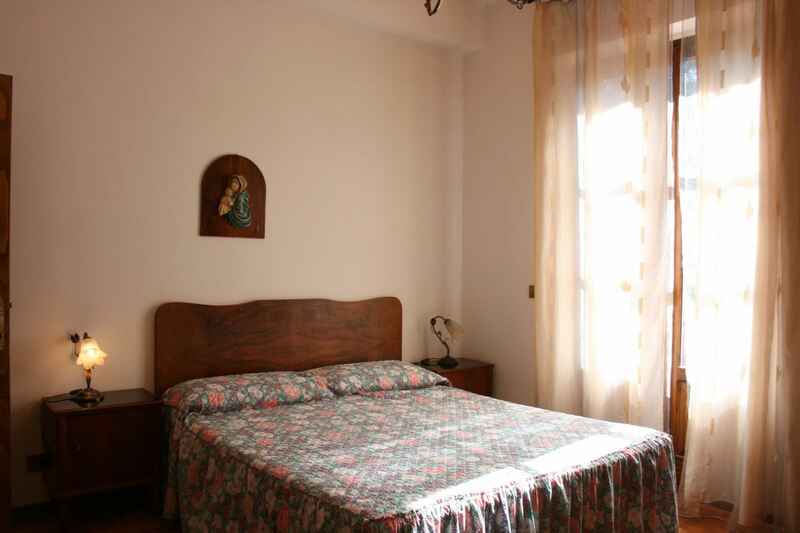 The house has a special atmosphere of peace and quiet, just right for an unforgettable holiday. 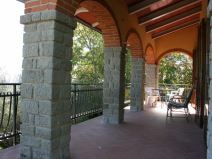 The external porch. 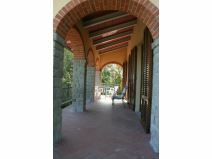 A large porch reached from the sitting room is equipped with outdoor furniture and is ideal for relaxing and watching the festival of colors that constantly change with the passing seasons. 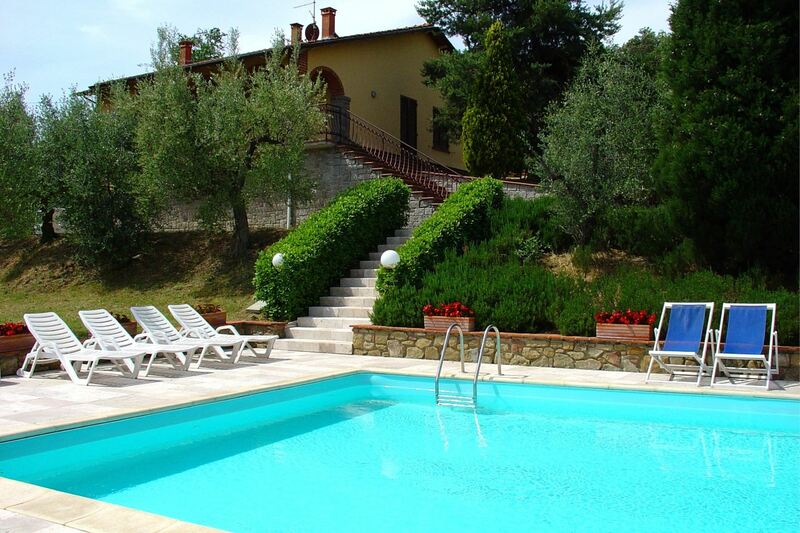 The beautiful pool with salt depuration system. 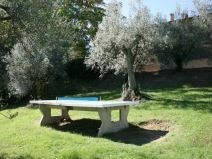 A short distance from the house on a large olive clad terrace is a 6 x 12 m swimming pool, depth 1,10-1,80 m (with salt depuration), table tennis, children playground, tables, loungers, umbrellas and barbecue. 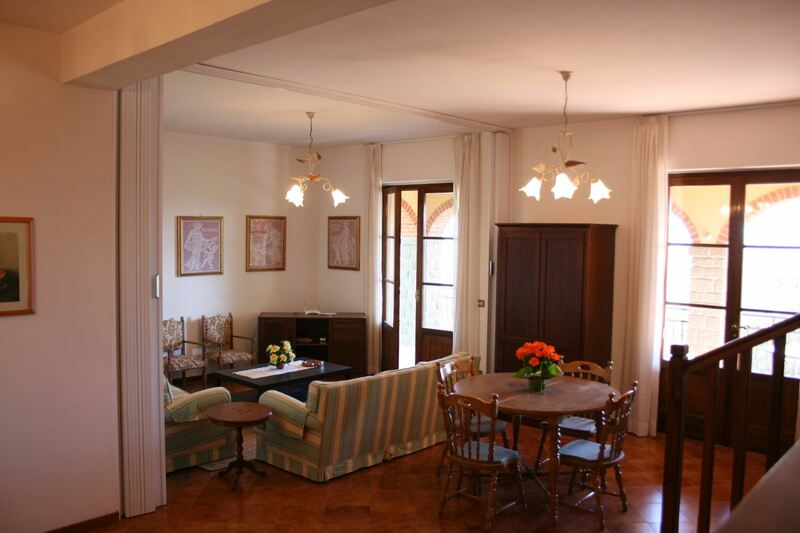 GROUND FLOOR: sitting/dining room with kitchenette and fireplace, bathroom with shower, large connecting room with chairs and sofa. 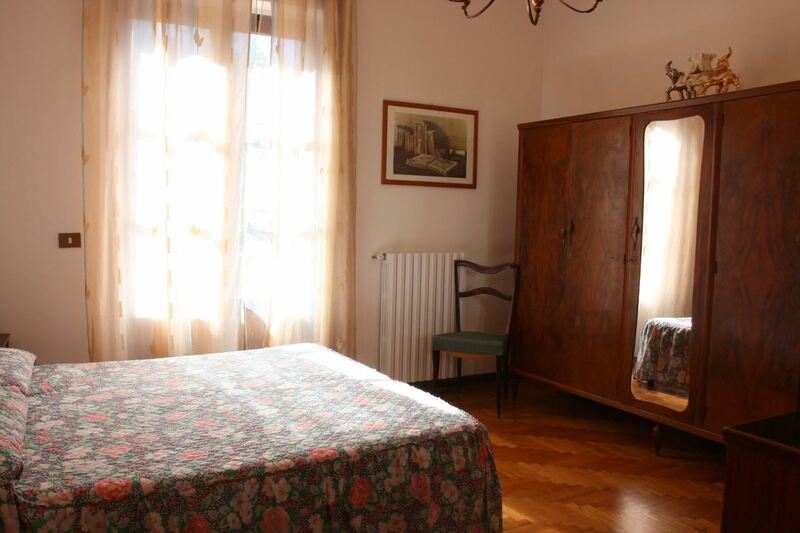 FIRST FLOOR: light airy sitting room with double sofa bed and bunk bed (that could became private closing a curtain), twin bedroom. 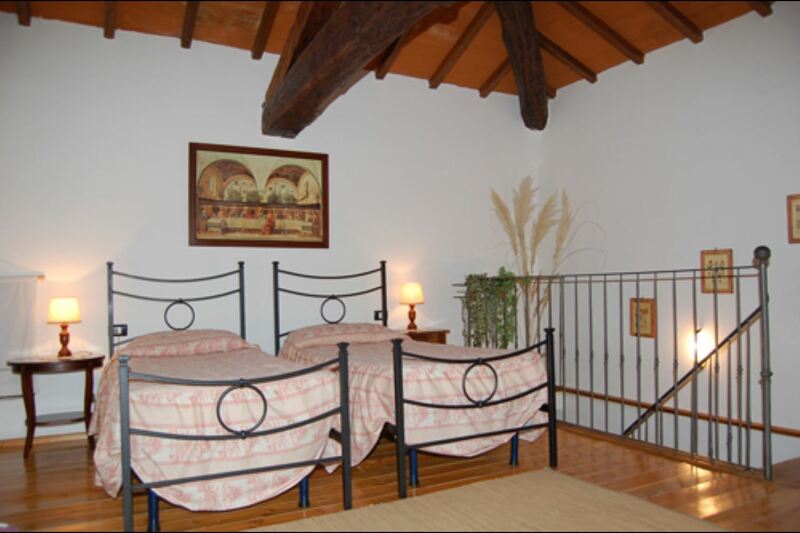 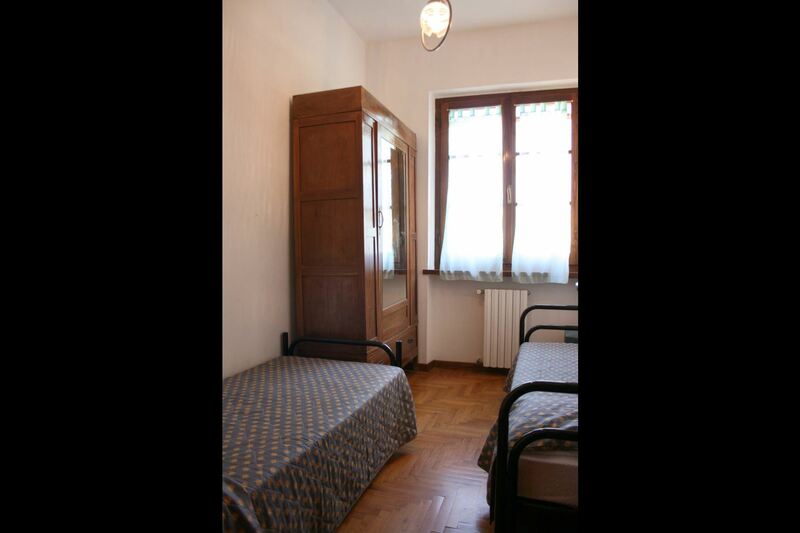 Five steps lead to the sleeping area with two double bedrooms, bedroom with bunk beds, two bathrooms with shower. 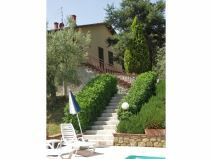 An internal staircase connects both floors. 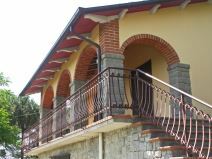 The first floor can also be reached by an outside staircase. 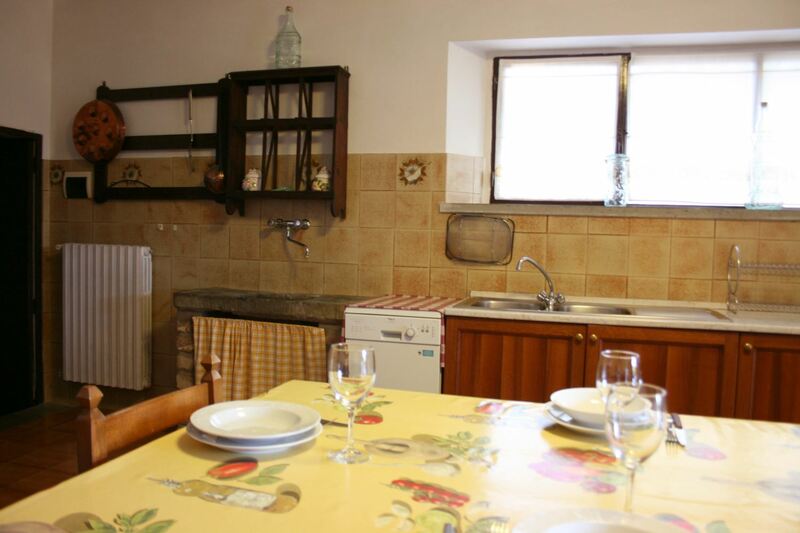 EQUIPMENT: dish-washer, washing machine, SAT TV, oven, iron, high chair, Wi-Fi Internet access. 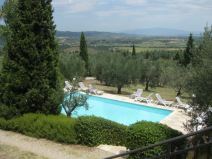 Private pool open from 23/03 to 19/10. 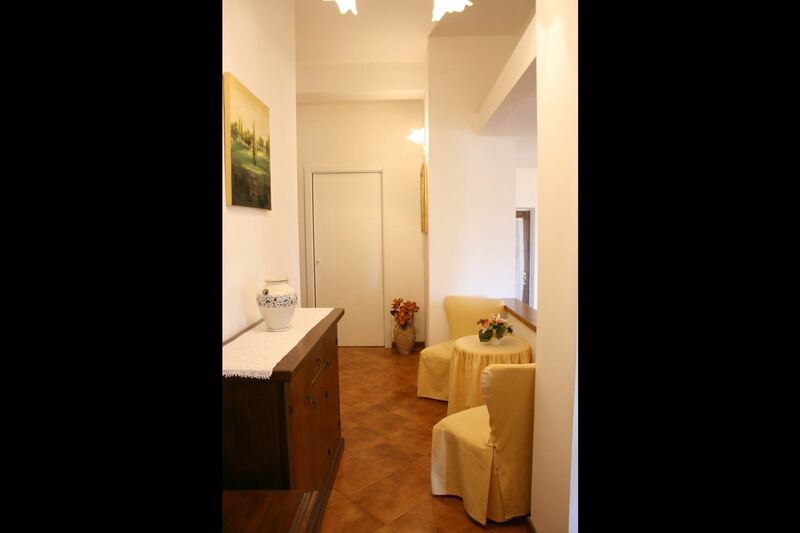 Wi-Fi Internet access (max. 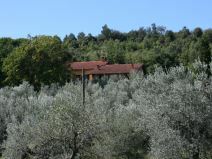 5 GB). 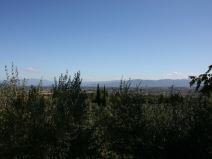 La vue de la maison est superbe et vaut à elle seule le détour. 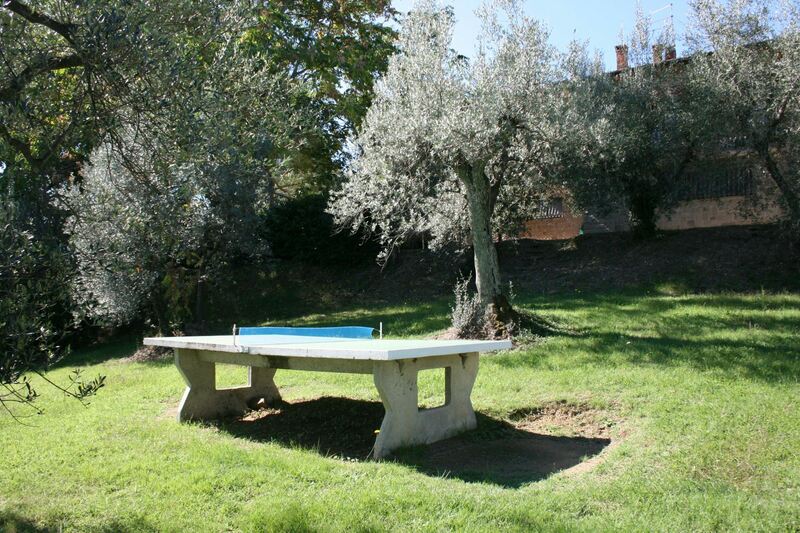 La maison est fonctionnelle et la piscine très agréable. 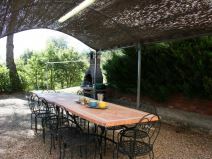 Nous étions un groupe d'amis (12 adultes et 2 enfants) et nous avons beaucoup apprécié notre séjour. 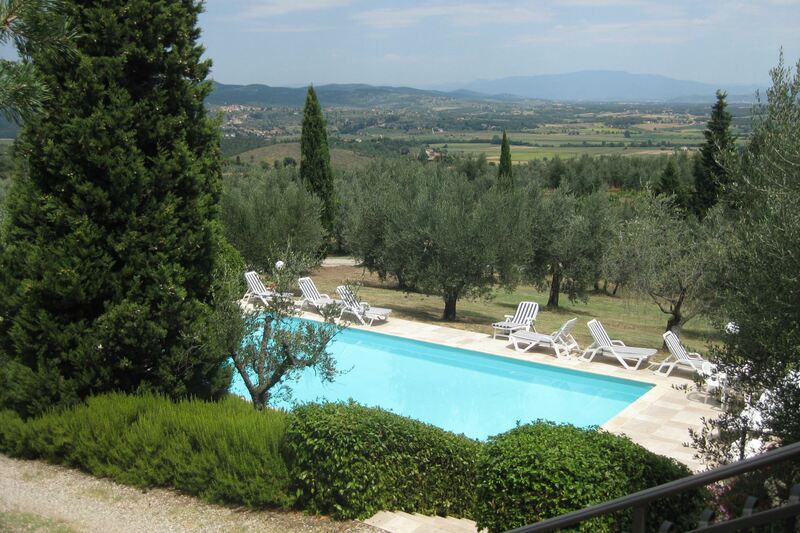 Nous vous la recommandons vivement.